Bag: Caterina Bertini (in 4 colors). Earrings: Crispin Drops (in 5 colors). Shoes: Loeffler Randall (also love these especially in olive, similar here for under $100). Top & Skirt: Zara. I have been loving the ruffle wrap skirt for spring- shop all my picks below! Love this whole look but especially those earrings! The earrings are absolutely wonderful! For Barcelona, Tapas 24 is so amazing, try to eat there if you can! This is wonderful! 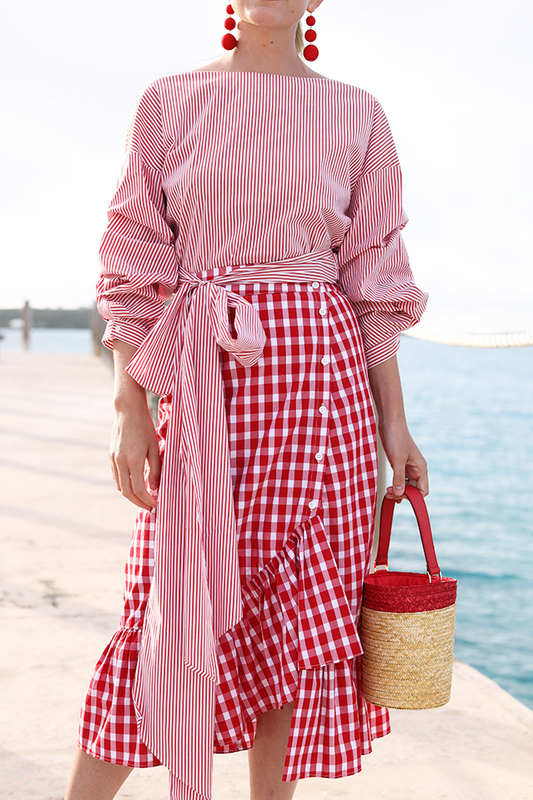 That outfit is so sweet (I can’t get enough of red gingham), and the water backdrop compliments all the red flawlessly. You are looking so amazing! I can’t say this often enough, I’m so impressed by all of your outfits! 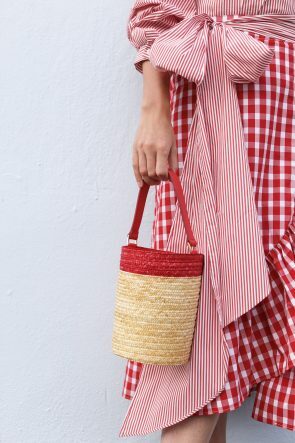 This is such a gorgeous red and white look! Nuevo look con falda lápiz y trenzas cosidas!! I adore this whole look! Your earring are seriously incredible. Tessa at Bramble & Thorn. Great combo darling so springy!! I love your dress and style. Specially i love your bag. How fun is this outfit! So cute! Love the skirt and the top a lot! So pretty and unique, as always! 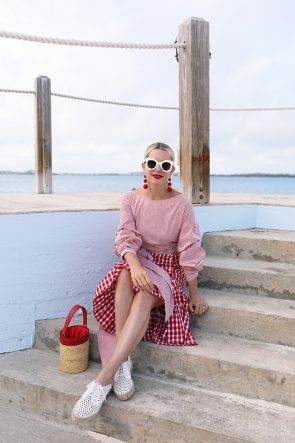 such a cute look, totally obsessed with gingham! This bold look is so daring and gorgeous!! Looks like you guys had a blast in Bermuda! I love ❤️ the red gingham skirt . The whole look is tremendous! I like your color theme and contrast with fashion patterns and styles for this Spring Beach look! Such a gorgeous outfit! The matching skirt and top looks so cute together! I’m loving these earrings! And the red colour looks so good on you. the skirt is perfect for a beautiful day by the sea. I love that not only are you smiling, but also that entire outfit. I have such a love for white sunglasses at the moment, I must get myself a pair! They’re so retro and I love it!